Contest: Can You Guess Who I Am? 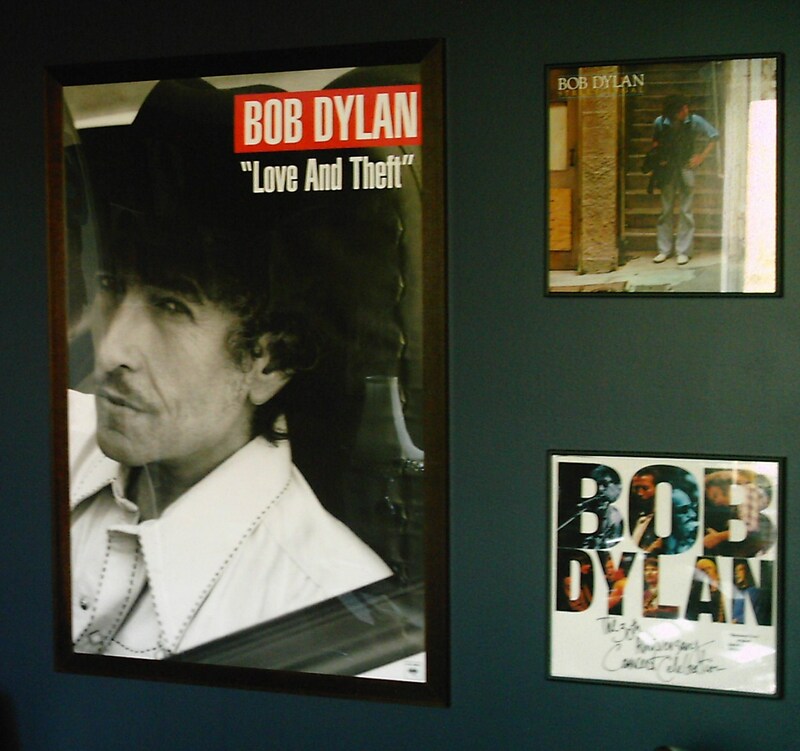 Are there any Bob Dylan fans out there? Brush Masters has a few, and at least one of them is described by his wife as obsessed. That would be me. I have listened to his music since I was a kid, and have admired him for many reasons, but his music has followed me through more of life’s joys and sorrows than any other artist. 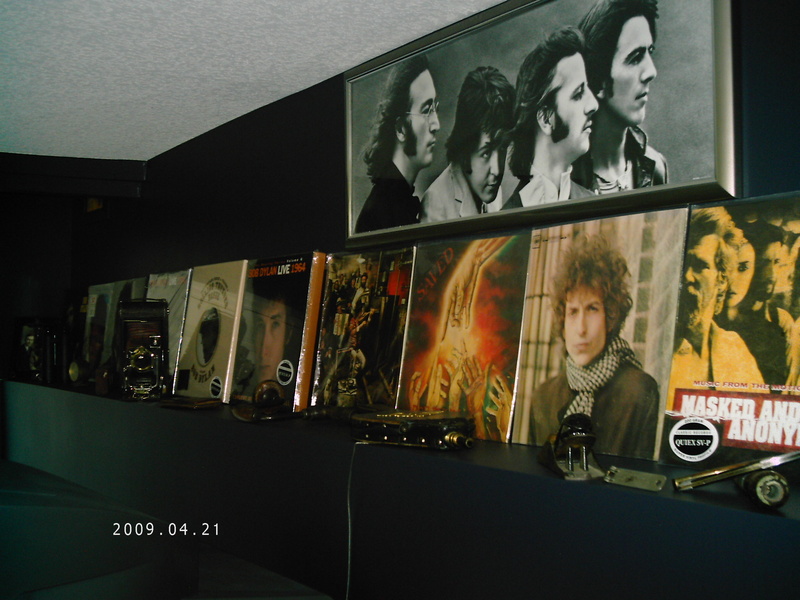 Some time ago, I pulled some of his old vinyl records out of the closet, and decided that my new obsession (there’s that word again) would be to collect every Dylan vinyl LP that was ever released. With his new album “Together Through Life”, which is being released at the end of April, he will have 33 of them to his credit. When my copy arrives in a few days, I will have them all! Many years ago, I heard of a Halloween Party being thrown and to attend, you could only come as a character from one of Bob Dylan’s songs. I thought, what kind of party is that? Then I started looking through the lyrics of some of his songs, and I couldn’t believe the array of choices one would have. One of my favorite old Dylan songs is “I Want You”, and in just that one song there was “the guilty undertaker”, “the lonesome organ grinder”, “the drunken politician”, “the queen of spades”, “the chamber maid”, and of course there’s the “dancing child in his Chinese suit”… all those in one song. What a testament to a man who has created so many characters in his writing. 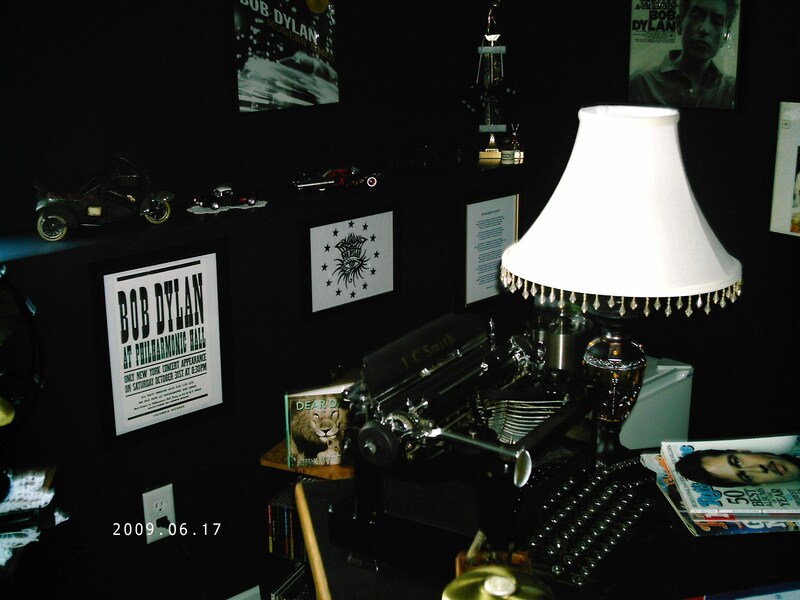 Bob Dylan is 67 years old, tours the world constantly, and whenever he schedules a concert within driving distance, my fellow groupies and I plan a night on the town to tip a few pints, laugh about all the wonderful memories we have created over the years, and complete the evening with another concert by one of the greatest songwriters and musicians in modern time. If you can’t get past his voice, you’re not alone, but listen to the rendition of Bob Dylan’s “Blowin’ in the Wind”, sung by Stevie Wonder, and you just can’t deny his music and lyrics define beauty. 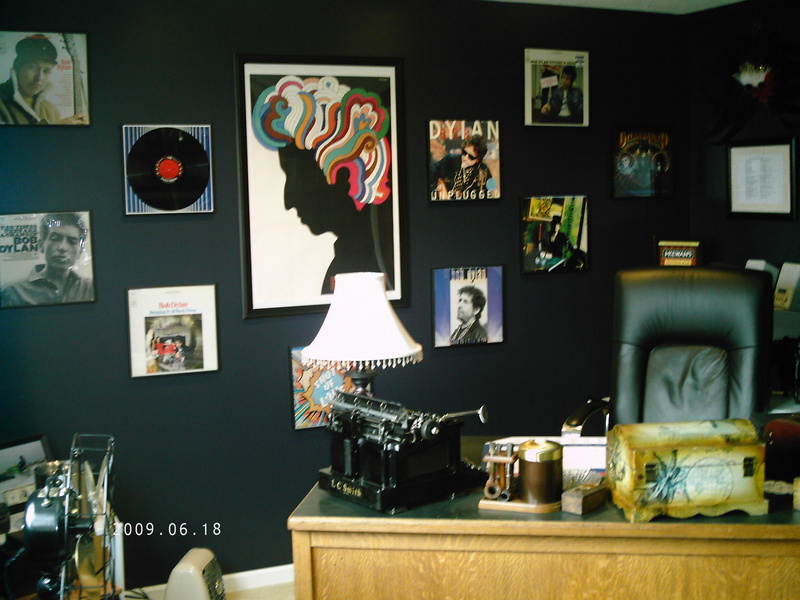 I have a home office that I use for all those boring responsibilities like paying the bills. I have decorated it to make my time there more enjoyable, very necessary when completing work assignments from home. 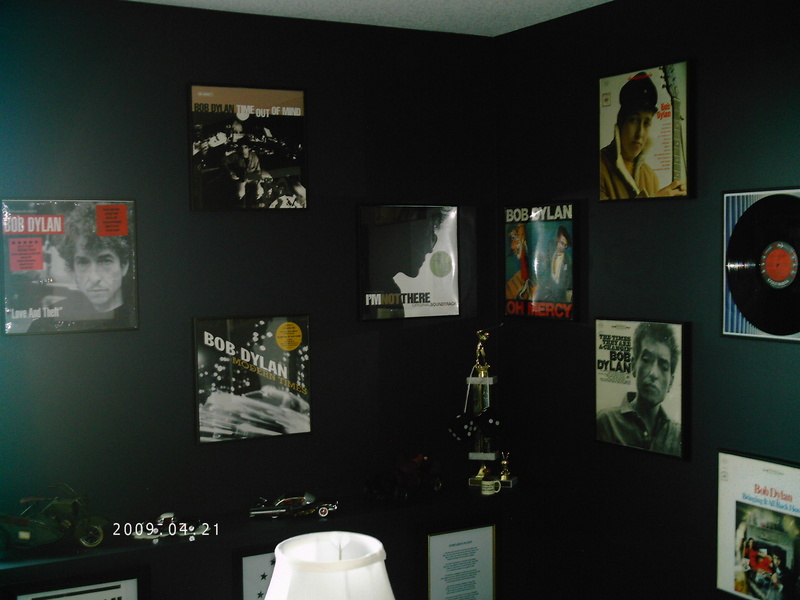 My office is filled with mementos of my past and of course some of the many Dylan LP’s I’ve collected over the years. I really enjoy the time I spend among those memories. Here are a few snapshots of my collection.